You probably know at least one person whose parents “set them up in business.” But let’s face it, most of us are not so lucky to have crazy rich parents and are on our own to subsidize our success. Here’s a Thought for Success as you progress through 2019. 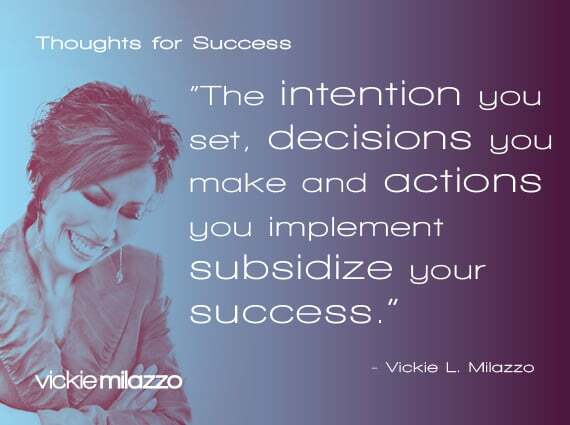 The intention you set, decisions you make and actions you implement subsidize your legal nurse consulting success. You can make 2019 the year of success by putting consciousness to your intentions, decisions and actions. What is the quality of yours? Do your intentions, decisions and actions subsidize you to greater heights of success or do they entrap you in a life of quiet desperation? The answer to this single question is a pretty good predictor of where you’ll be in your CLNC® business this time next year. I look forward to hearing of your many successes. P.S. Comment here and share how your intentions, decisions and actions subsidize your legal nurse consulting success.